So after getting my SS I noticed a slight exhaust leak. I assumed it was just gaskets that needed to be replaced, no big deal. Sadly, the longer I drove it and the more bumps I went over, I could tell it was getting worse. A few days ago it got to the point where it was probably only a few centimeters off of the ground at most, because I could hear it scraping EVERYWHERE! A babied it to work the next day and asked one of my coworkers where we usually get our exhaust done (I work at a body shop). 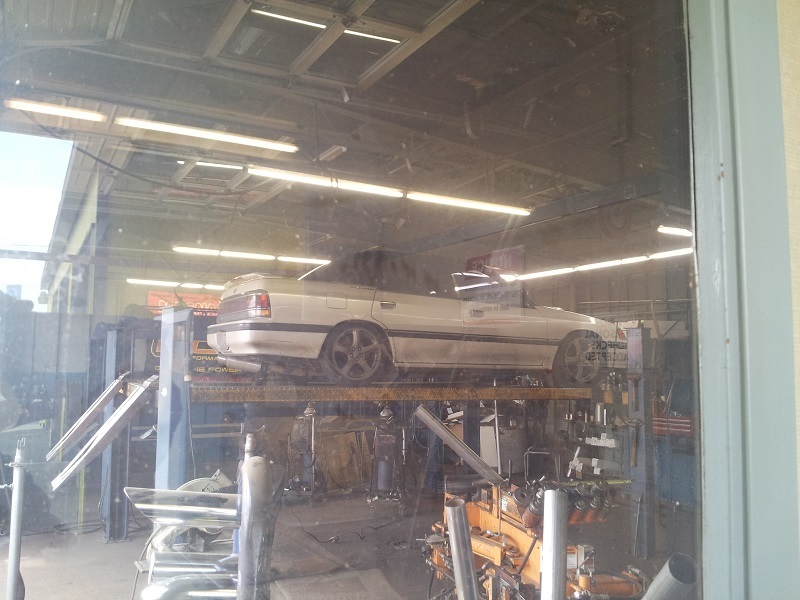 They referred me to The Muffler Shoppe, a local exhaust shop in the area. Dave, who I am assuming is the owner (I think it might be just him working there period!) was super nice and straightforward. I was not expecting the fix to be cheap, and was hoping he could just section it out and weld a new piece in. Instead, he told me he would do THE WHOLE THING, muffler to the downpipe, for basically nothing! I was expecting to walk out with a quote and instead I waited the hour for him to do the whole thing! 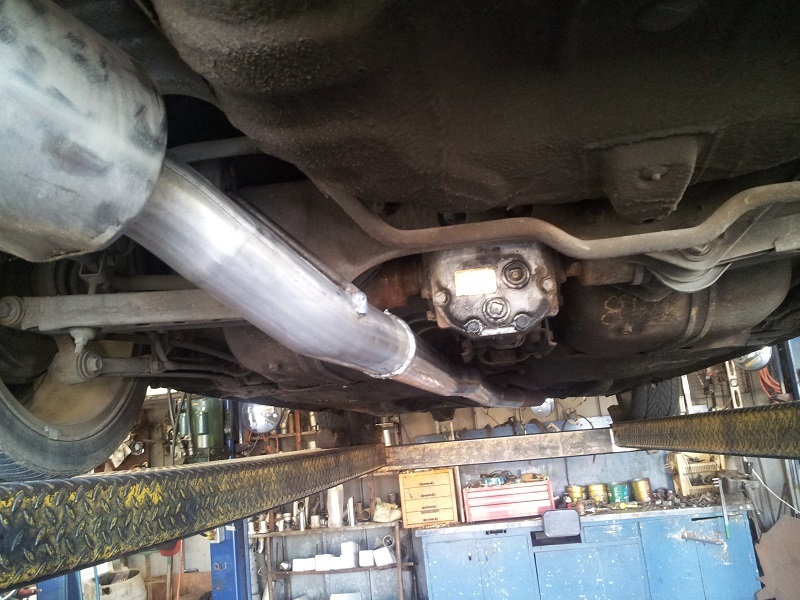 So I waited while he cut the old piping off (He cut it at the downpipe and then at the muffler, the pipe actually folded onto a stand as he made the final cut) and he cut, bent, and welded the new piping on all during my lunchbreak. And BOOM! Paid, took a business card, and rode off back to work. My Legacy sounds beautiful with the Hayame muffler, and it is soooo much quieter (still rumbles, but without waking up the neighbors). I can't recommend The Muffler Shoppe enough! I will certainly go there next time I need anything done. Dave is very nice and has been doing this for a while now, and there's nothing better than supporting small businesses that deserve to stay around. Awesome! The muffler man in Centralia, wa is great too. Way cheaper than the place in Olympia I went to. My folks live in that area. My mom had a piece of metal come up and puncture the muffler on her Xterra and she went to a local muffler shop....they welded a patch on it even though most places wouldn't.....I'm wondering if this is the same shop she went to.